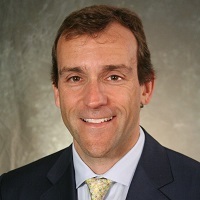 Richard Piccirillo is a Managing Director and senior portfolio manager for PGIM Fixed Income’s Core, Long Government/Credit, Core Plus, Absolute Return, and other multi-sector Fixed Income strategies. Mr. Piccirillo had specialized in mortgage-and asset-backed securities since joining the Firm in 1993. Before joining the Firm, Mr. Piccirillo was a fixed income analyst with Fischer Francis Trees & Watts. Mr. Piccirillo started his career as a financial analyst at Smith Barney. He received a BBA in Finance from George Washington University and an MBA in Finance and International Business from New York University. Named Morningstar’s 2017 Fixed Income Manager of The Year for PGIM Total Return Bond Fund.